When investor Jeff Ross stumbled into the world of aviation 12 years ago, little did he know it would lead him into a second career buying and managing fixed base operations around the country. Today, Ross Aviation, a newly formed entity in the FBO industry, is poised to become one of the country’s major providers of fuel, maintenance, charter and aircraft management services in some of the industry’s most dynamic markets. Jeff Ross is making ambitious plans to increase his portfolio of fixed base operators. Over the past 20 years, he’s directed business acquisitions and sales involving over $600 million. Over the past four years, Ross and his team have been involved in acquiring and successfully operating FBOs such as Million Air Palm Springs at Palm Springs International Airport and the Newport Jet Center at John Wayne Airport. At each location, Ross has used his business expertise and common sense approach to management to increase fuel sales and, ultimately, profits. In the past year, he and his partner, Greg Ross (no relation), have gotten more ambitious about their plans to acquire new properties with the formation of Ross Aviation, LLC. The new company was formed in November 2004 with the backing of Centre Partners, a private equity investment firm with offices in New York and Los Angeles. By December, the company had announced its acquisition of Denver Air, the largest FBO at Jefferson County Airport, in Broomfield, Colo., and had relocated its offices to the newly renovated facility. In August 2005, Ross Aviation made its second investment by purchasing Scottsdale AirCenter at Scottsdale Airport in Arizona. 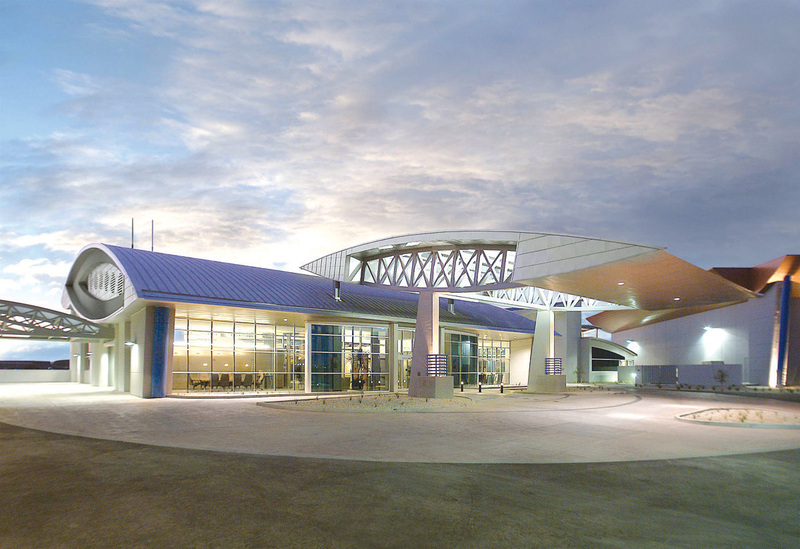 A third acquisition, the Santa Fe Jet Center at Santa Fe Municipal Airport in New Mexico, is expected to be completed soon. All this activity is a big evolution from 1993, when Ross represented the purchase at auction of the Vail/Beaver Creek Jet Center in Colorado by a group of New York investors. Ross has always been a businessman at heart. He graduated from the University of Pennsylvania and holds an MBA from the Wharton School of Business. Over the past 20 years, he’s invested in a variety of small businesses in industries including ground transportation, mortgage servicing, gasoline retailing, technical education and others. His responsibilities have ranged from serving as a managing partner of CapEx, a $60 million equity fund based in Denver, to owning the city’s Yellow Cab company. From 1979 through 1991, Ross was president of the Cairn Companies, a real estate firm based in Atlanta. He was drawn to Colorado in the early 1980s and moved his operations to Denver. Before breaking out on his own with Ross Aviation, he also ran a company called FBOCO Management, which owned and operated several FBOs including Million Air at Palm Springs and the Newport Jet Center. Of his new venture, Ross says that his partnerships are one of the most important components. Where Jeff Ross’ experience is very diverse, Greg Ross has had a highly focused career in the FBO industry. His past experience includes extensive business development and FBO management experience as vice president of Regent Aviation in St. Paul, Minn., and vice president of Aviation Resource Group International of Denver. The newly renamed Denver AirCenter recently welcomed new general manager Les Wenger, who transferred from the Scottsdale AirCenter. Putting up the money behind the Ross’ expertise is the financial giant Centre Partners. Founded in 1986, the investment firm and its affiliates have invested over $3 billion in capital in more than 80 businesses across a broad spectrum of industries. The firm focuses on what it calls the “middle market,” investing in companies in the consumer, industrial products and services, financial services, healthcare, media and retail sectors, with sales typically in the range of $50 million to $500 million. The company’s portfolio of investments range from the Garden Fresh Restaurant Group to radio operator Maverick Media to a firearms training provider. Despite the enormity of its available capital, estimated to be over $800 million, Ross says that Centre Partners is hands-on when it comes to Ross Aviation. It might seem that aviation is a diversion from Centre Partner’s usual capital investments, but the firm’s managing partner, Bruce Pollack, says that Ross Aviation fits perfectly within their vision. That mutual admiration has led to the development of a determined strategy of FBO acquisitions by Ross and his partners that could ultimately represent an investment of more than $200 million. There are several aspects on which successful FBO management hinges, according to Ross. Fuel sales are obviously a major issue; Denver Air’s fuel sales have doubled since Ross bought the company last year and Ross Aviation generally won’t consider buying an FBO selling less than one million gallons annually. Among the Denver AirCenter’s many amenities are over 60,000 square feet of heated hangars, a passenger lounge, pilot’s planning room and a ramp-side restaurant, the Runway Grill. His concept for his FBO portfolio also includes businesses that have diversified, providing not only fuel sales but also the other corollary services that aircraft operators need including hangar space, maintenance services, and other services. FBO management seems to be going through a transition as well. Ross believes that the industry he sees as fractured will soon begin to coalesce into a more tightly-knit industry. That’s what happened last year when independent owner Jerry Nolan sold Denver Air to Ross, who has tried to capitalize on Nolan’s success. 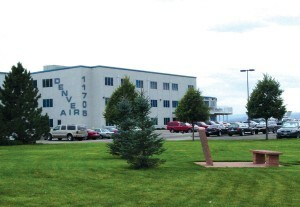 Denver Air’s facilities at Jefferson County Airport provide more than 50,000 square feet of hangar space and a newly redecorated executive terminal. Ross has also reinstituted its defunct maintenance department, specializing in Cessna Citations and run by Bill Smith. At the beginning of September, Ross also brought in a new general manager. Les Wenger, formerly the line manager at Scottsdale AirCenter, transferred to Denver at Ross’ request. Meanwhile in Arizona, Scottsdale AirCenter is quickly becoming a jewel in the company’s portfolio. 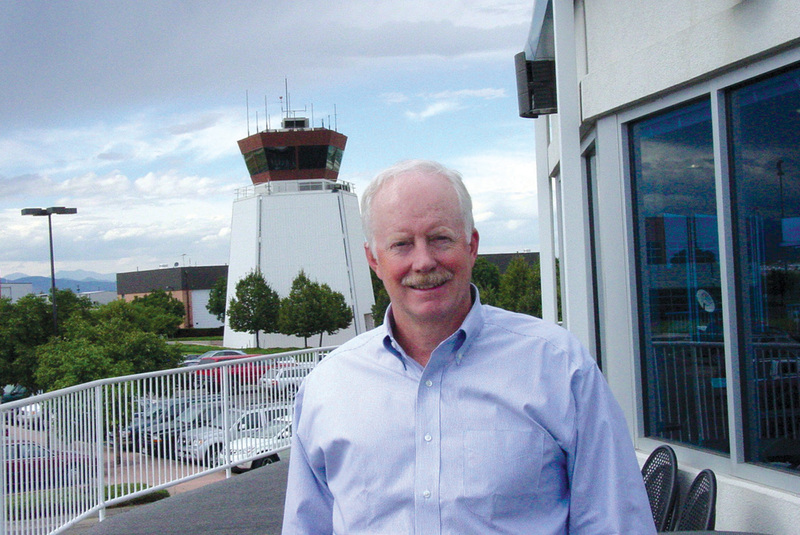 The FBO, managed by industry veteran Tommy Walker, has earned a top five ranking for the past two years in Aviation International News’ survey of North American FBOs. The 11.6-acre facility boasts more than 77,000 square feet of hangar space, 690,000 square feet of concrete ramp and 22,000 square feet of terminal and office space. Scottsdale AirCenter will also be getting bigger and better. The facility is no small asset in its current incarnation and construction is expected to start this fall on an eight-acre adjoining site known as the Cholla Parcel. New facilities will include nearly 100,000 square feet of hangar space and over 30,000 square feet of office space as well as new landscaping and additional parking. 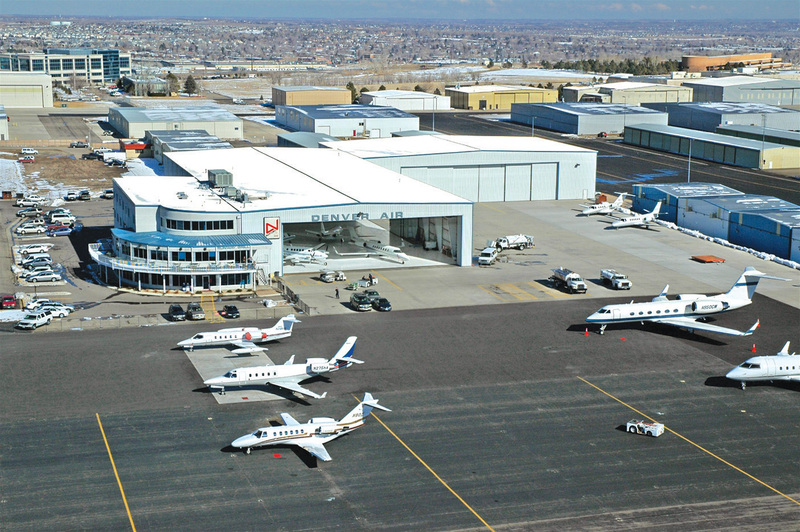 To unify its image, Ross Aviation recently changed the name of Denver Air to the Denver AirCenter, to match the name of its sister company, Scottsdale AirCenter. 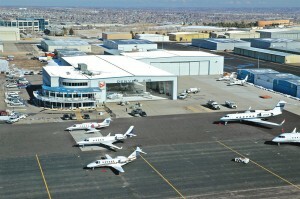 The two FBOs will serve as a sort of proving ground for the company’s ideas about successful management. Ross also anticipates new acquisitions to develop quickly as Ross Aviation begins its second year of business. “We hope to acquire the Santa Fe Jet Center by September and we have a number of other additional prospects that we hope to close by the beginning of next year,” Ross confirmed. That’s not to say that there aren’t significant challenges to the business and priorities can change on a daily basis. While the business aspects may seem daunting, part of Ross’ confidence in his operation is that the investor truly believes in America’s general aviation industry. Ultimately, the bottom line is what counts in business, and back in New York, the approval from Centre Partners and their confidence in Ross Aviation remains high. For more information about Ross Aviation, visit [http://www.rossfbo.com].